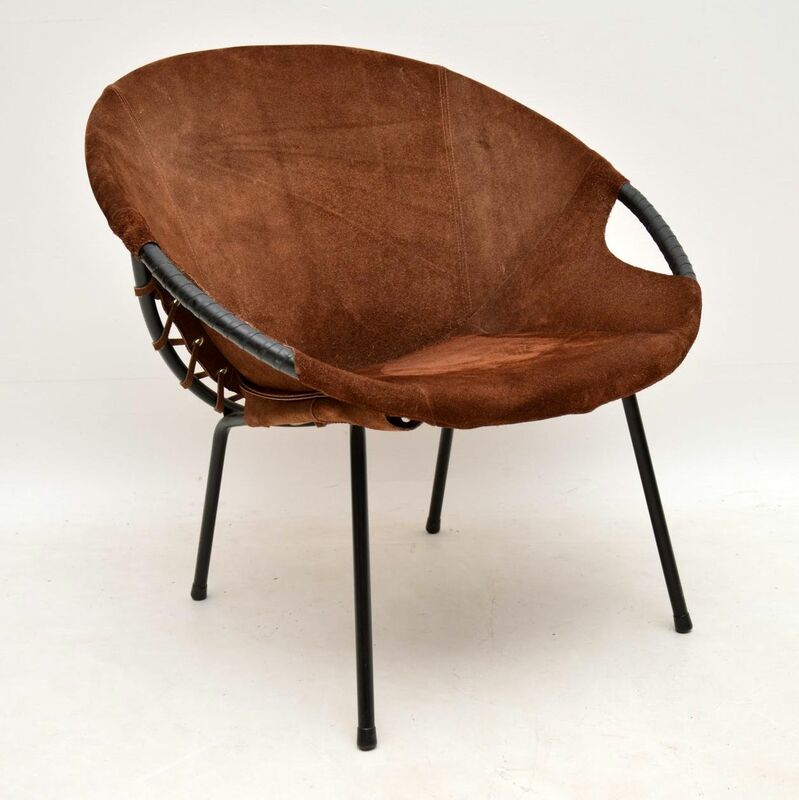 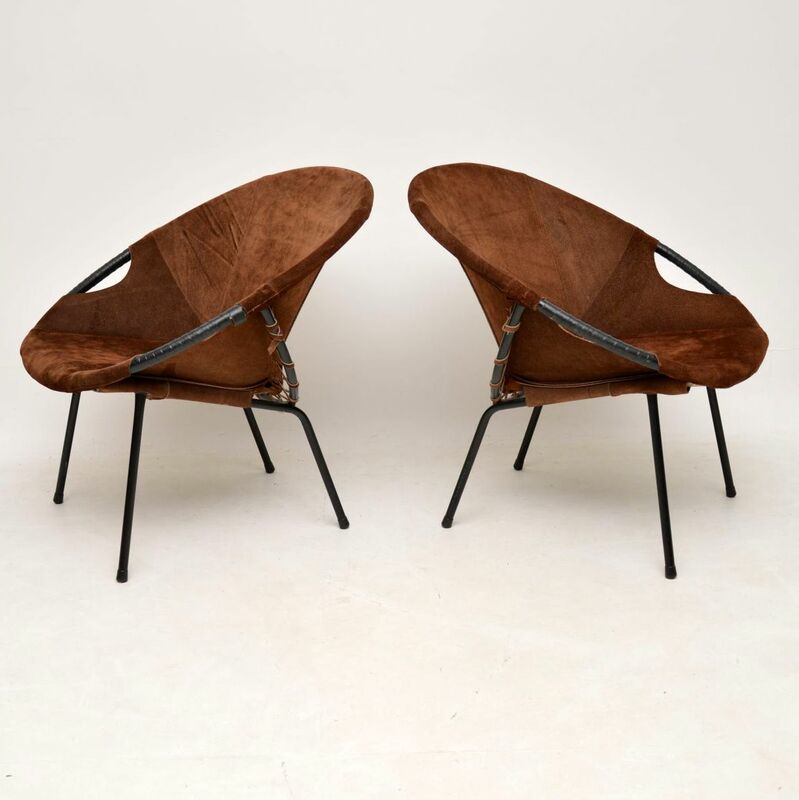 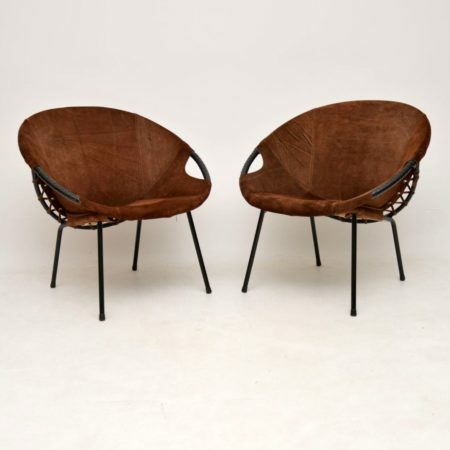 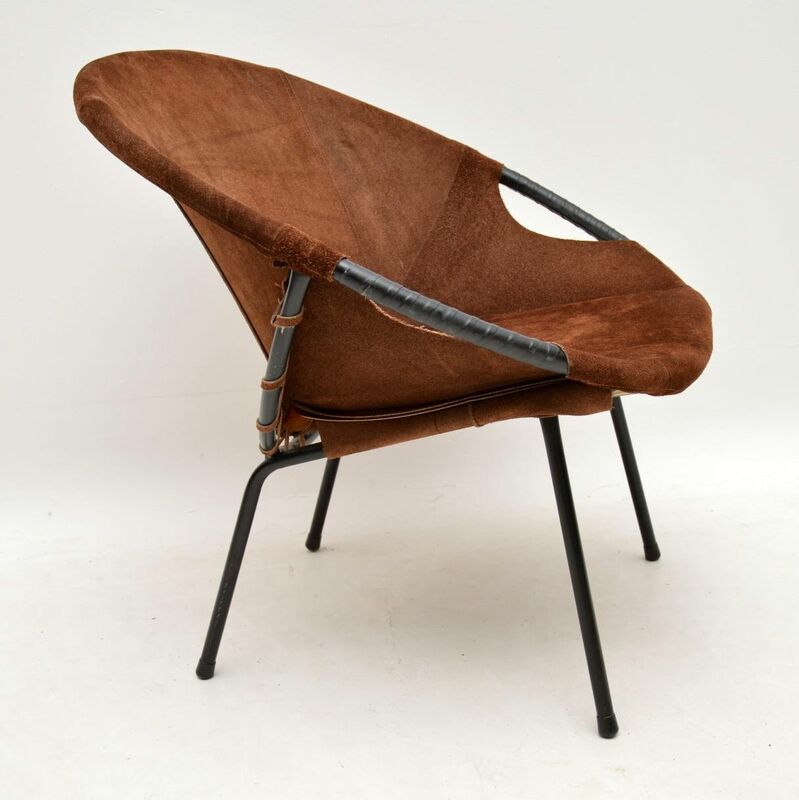 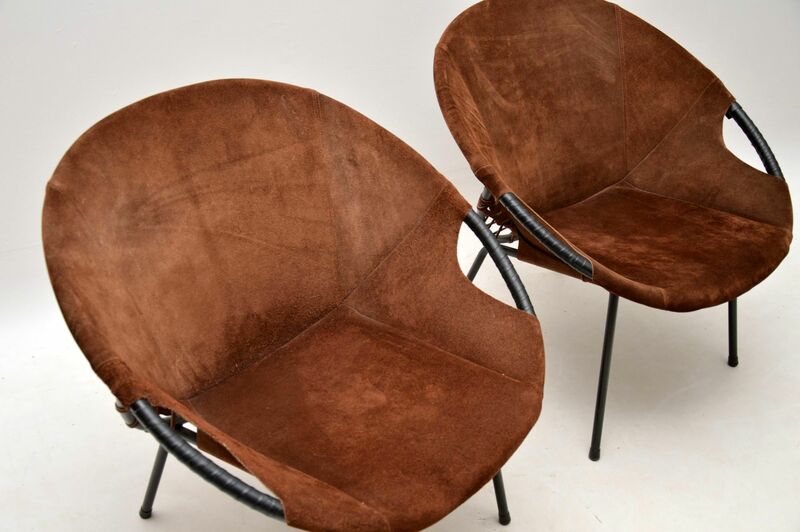 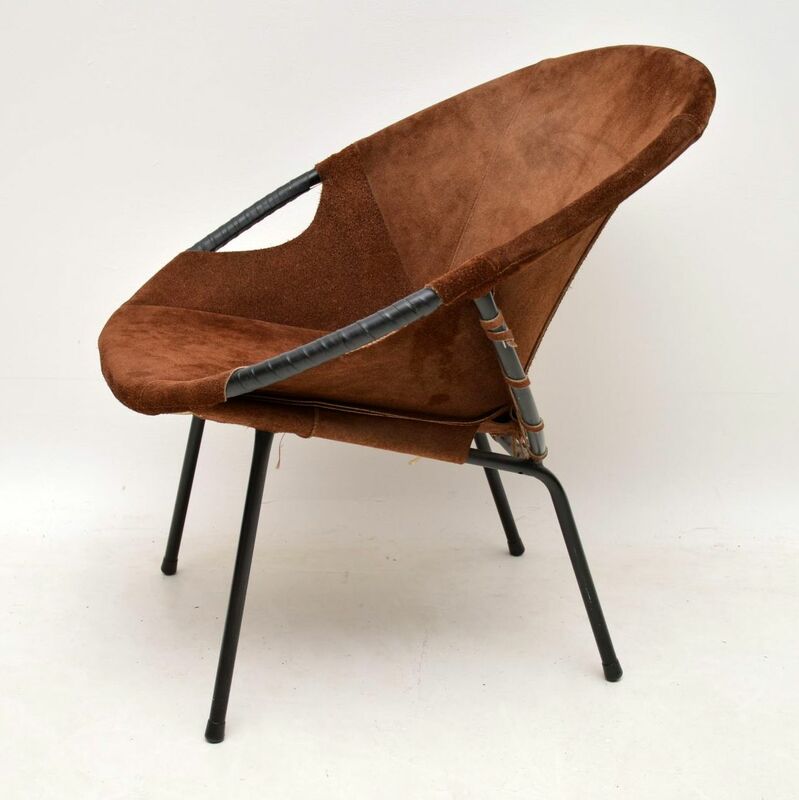 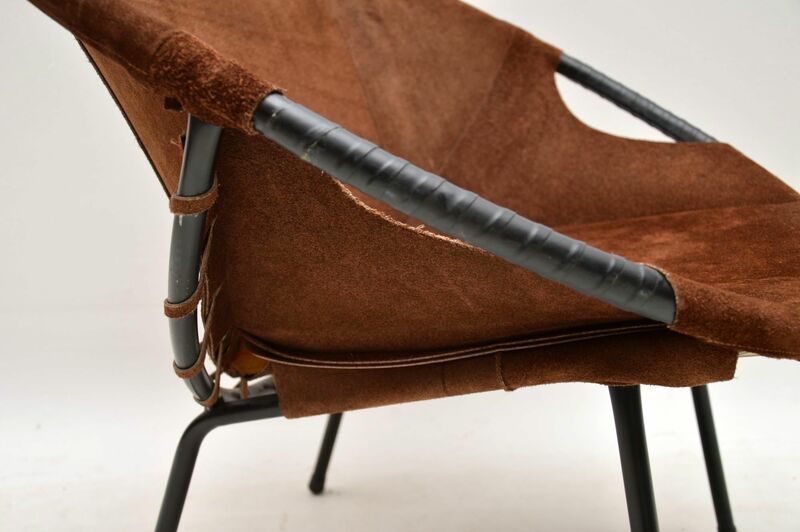 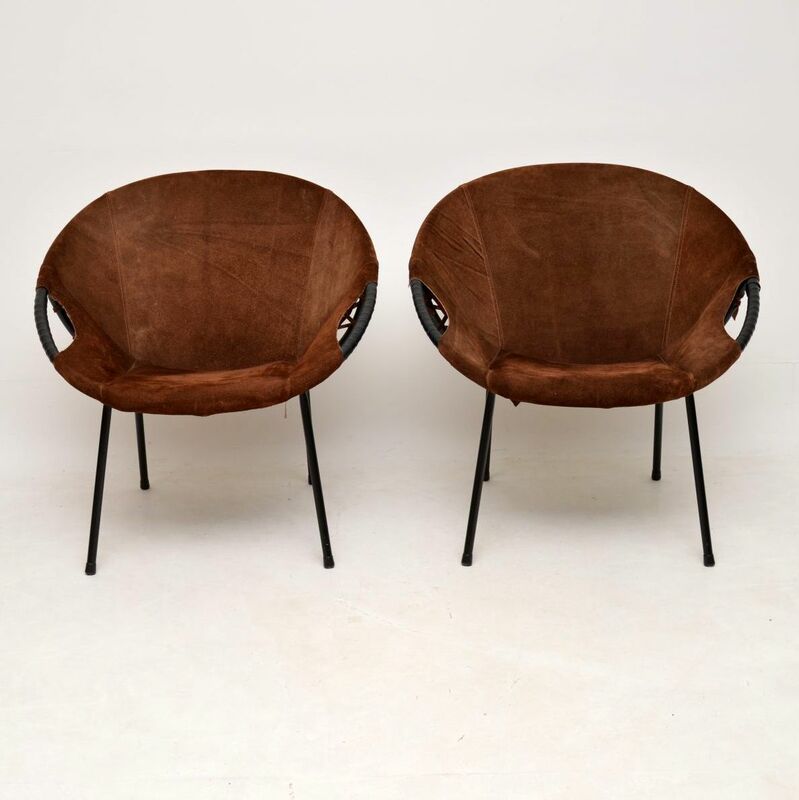 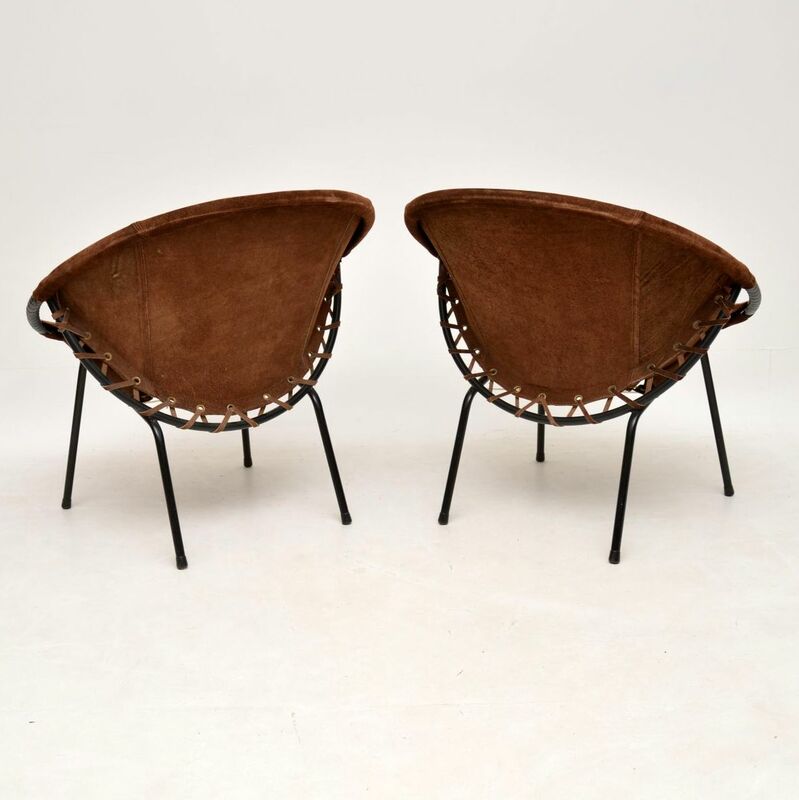 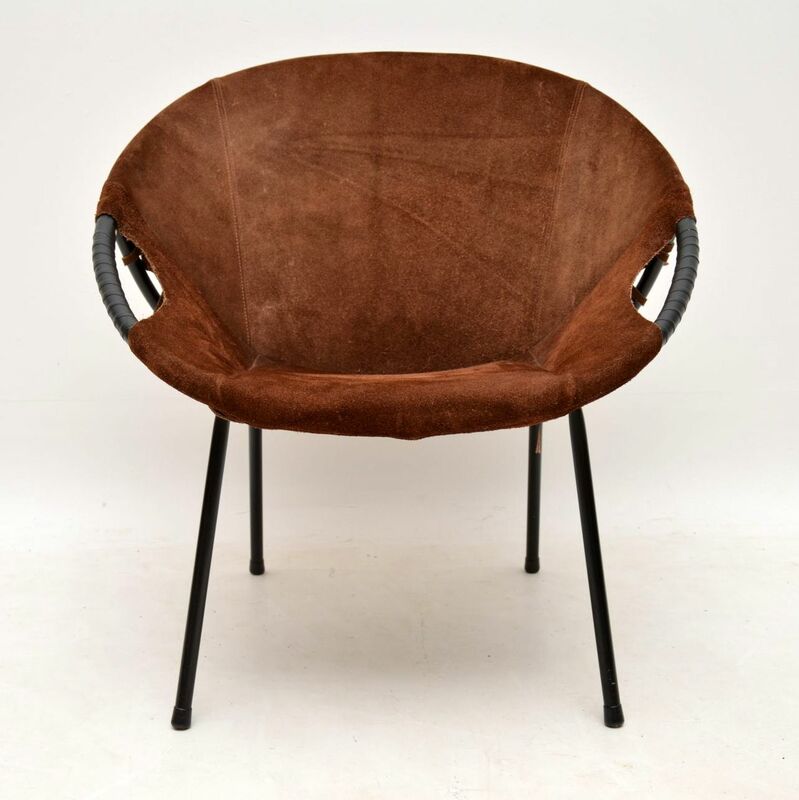 A beautiful and very comfortable pair of vintage suede ‘balloon’ chairs, designed by Erik Ole Jorgensen for Lusch & Co, these were made in Germany during the 1960’s. 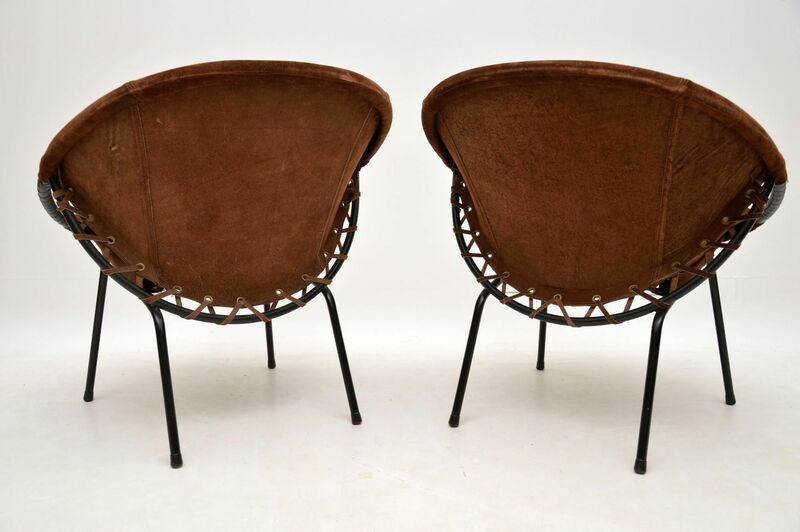 They are in very good vintage condition, with only some minor wear and extremely light marks. 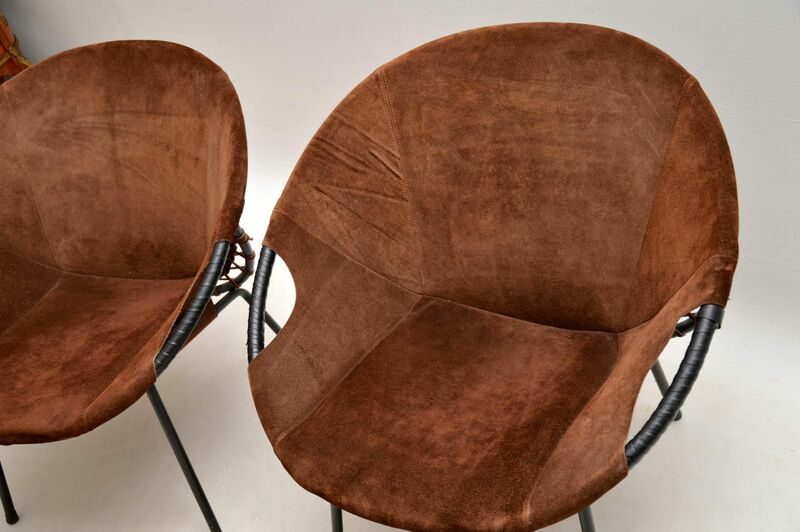 The brown suede is clean and intact, with no damage.